Some lovely stamps from my dad’s collection. 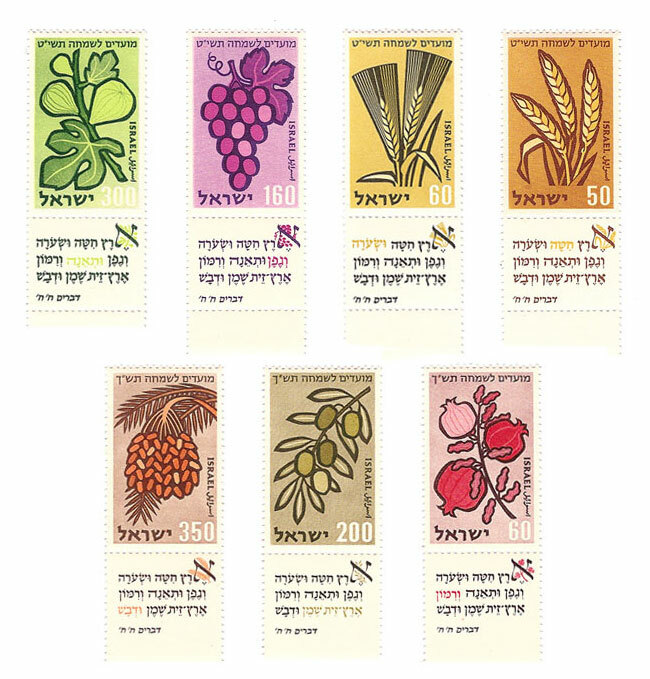 The first 7 have been issued in 1958 and 1959 for the holidays and their theme is the Seven Species. Designed by Zvi Narkis, a graphic and typeface designer. 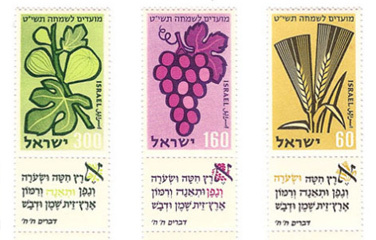 Six more stamps that were issued in 1960 and 1961, also for the holidays. 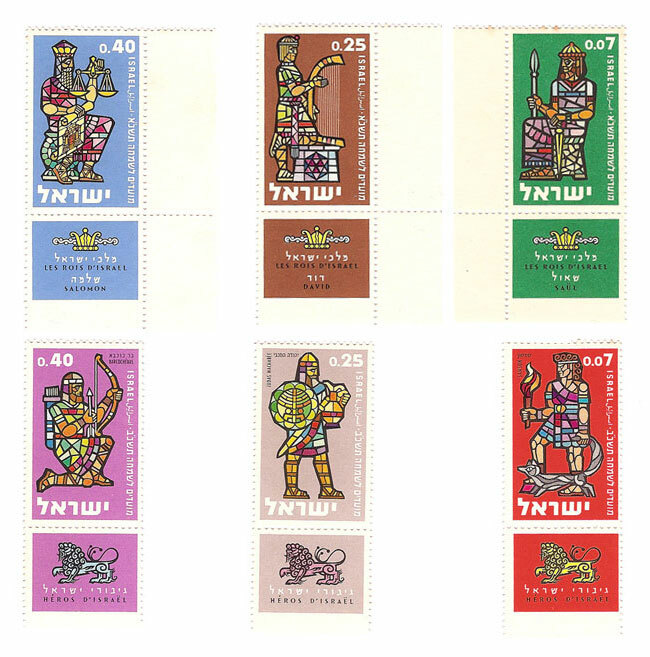 The first three are “Kings of Israel.” The other three are “Heroes of Israel.” Designed by Asher Calderon, who’s designed many beautiful stamps with his unique style.